What is Acquisition in Internet World? Acquisition is basically a buying action. As a digital marketing manager I do acquisition but my job is to acquire new users for our app. We generally use the term of “customer acquisition”. On the hand when you hear this term in start up atmosphere, that probably means one company buy smaller one. Companies buy potential competitors for both growth and obstruct them to share the market, we do see a talent acquisitions time to time. When FB bought Instagram, they do not only but Instagram but also their talents. The engineers who created IG starts to work for Facebook. There could be an obligation to work for buyer company for 1 or 2 years according to deal. On the other hand Acquisitions can also for growth strategy whereby it is more beneficial to take over an existing firm’s operations and niche compared to expanding on its own. Acquisitions are often paid in cash, the acquiring company’s stock or a combination of both. 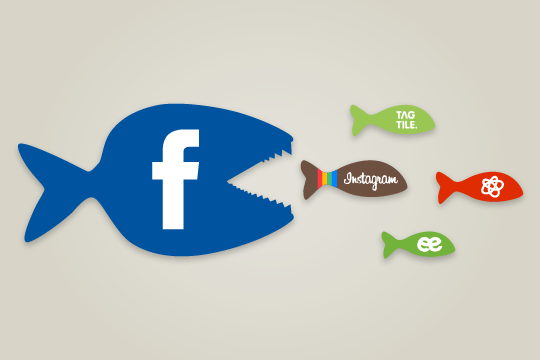 As Facebook Instagram deal,everybody was thinking it is crazy amount the deal wrapped up. (Facebook bought Instagram for $1 Billion) The deal was actually $300 million in cash and the rest was FB stock. And to whom It is insane to buy a company for $1 billion, after 2 years later Instagram’s value is $34 billion right now.